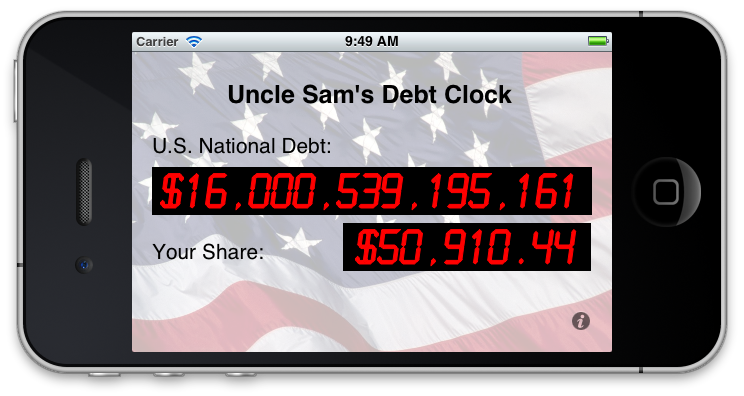 A new version of Uncle Sam’s Debt Clock has been released on the Apple App Store. This version is compatible with iOS 6. Make sure and get the update if you upgrade to iOS 6. In less than 9 months since this post, the federal government has borrowed another $1,000,000,000,000. You are currently browsing the igibe blog blog archives for September, 2012.